Can Colorful Household Items Brighten Your Life? Many people find that having a colorful home can be very therapeutic and I am one of them. I used to ignore the importance of color. It seemed frivolous or somehow childish to insist on being surrounded by brightly colored possessions. And during that time my world always seemed gray and overcast, like a dreary day. Fairly recently I had an epiphany about this and I realized that having brightly colored objects around me makes me feel happy and energized, even on dull days when I’m feeling kind of gloomy. 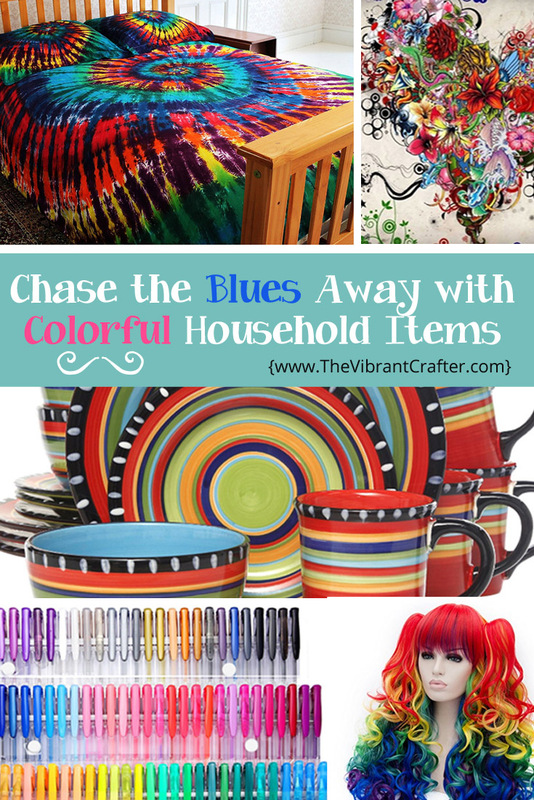 I thought I’d share a few of my favorite every day household items that are super COLORFUL! For the money, I highly recommend investing in colorful things. They’re cheaper than paying a therapist and you can keep them in your home or office 24/7. Today I firmly believe that surrounding yourself with bright colors is the best way to keep yourself in a happy and creative frame of mind. 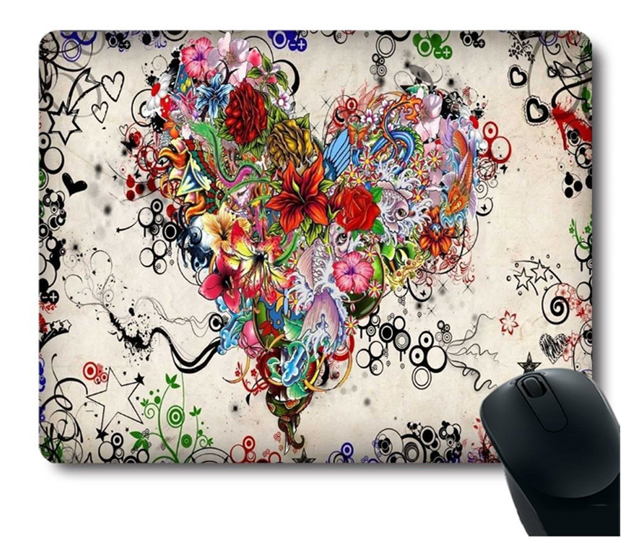 #1 – A colorful mouse pad is an absolute must, especially if you’re on the computer for several hours a day. This one’s my current fave but there are a bazillion to choose from. They’re so inexpensive you could have several and switch them out whenever you feel like a change. 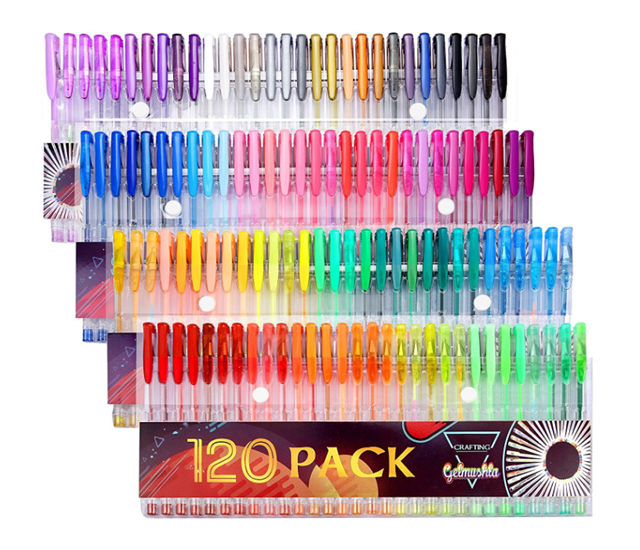 #2 – Next in my favorite colorful things round-up is GEL PENS. How could ANYBODY live without a set of gel pens? Not me, which is why I recommend these to stimulate your creativity. Go ahead, doodle on your bills. It will make you smile. #3 – Okay, this is just kind of silly and fun – but what about that costume party that’s coming up? Why not go as the goddess of – well – COLOR? 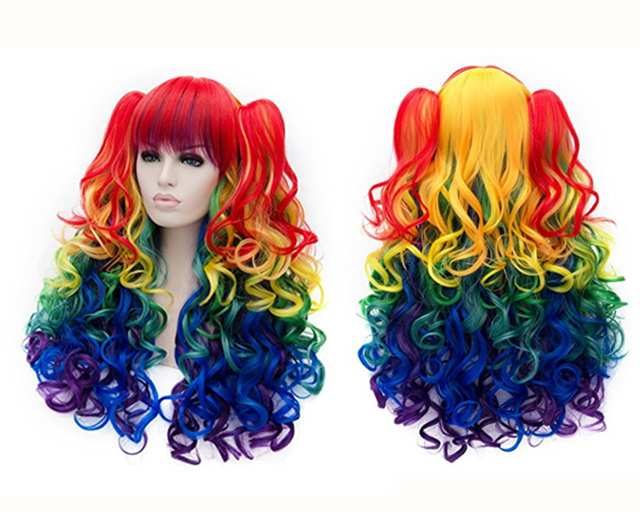 Grab a rainbow wig just for such an occasion. Go on, you know you want one! #4 – Here’s something that will bring you a splash of color every day (or night) of your life. 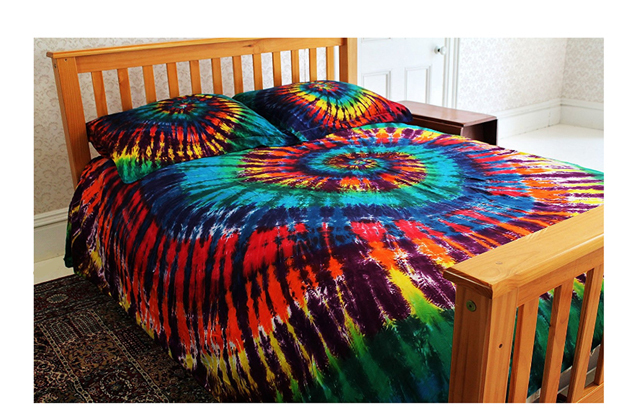 A colorful tie-dye duvet cover. How could you feel unhappy when you wake up to this every morning? 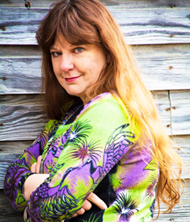 #5 – And what do we all do (at least) 3 times a day? That’s right – we EAT. 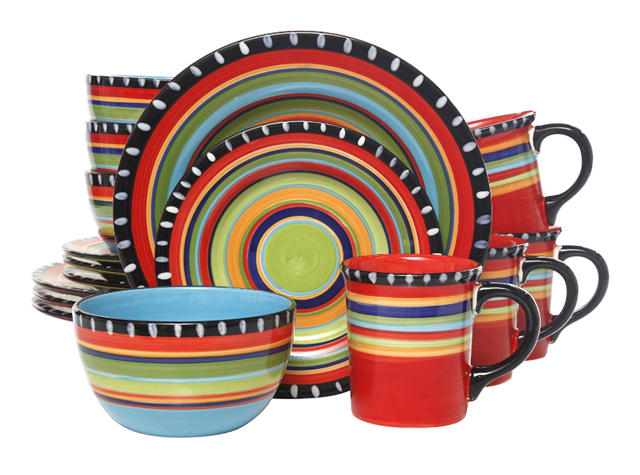 And what better dinnerware to eat from than this brightly colored Gibson Elite Pueblo Springs dinner service. Yum! I really hope you enjoyed these recommendations for bringing vibrant, happy colors into your every day life. I had a blast researching them and I will probably turn this into a “Colorful Recommendations” blog series so that I can research more divine rainbow goodies to review. Do you love color? Comment below and let me know if you have some colorful household items that you couldn’t live without! ← My First Blythe Doll: Meet Bonnie!